We have 3 storage locations in Hudson WI, River Falls WI and Somerset WI! ATV: Are you in need of storage for your ATV? 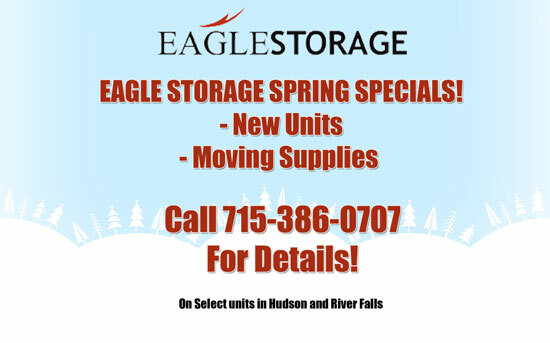 We can help at Eagle Storage. 4 Wheeler: Do you need a place to store your 4 wheeler until the next hunting trip? Call to check out what units we have available for you and your ATV. Four Wheeler: Do you need to store your four wheeler? Mini storage might be a perfect solution for storing your 4 wheeler give us a call.